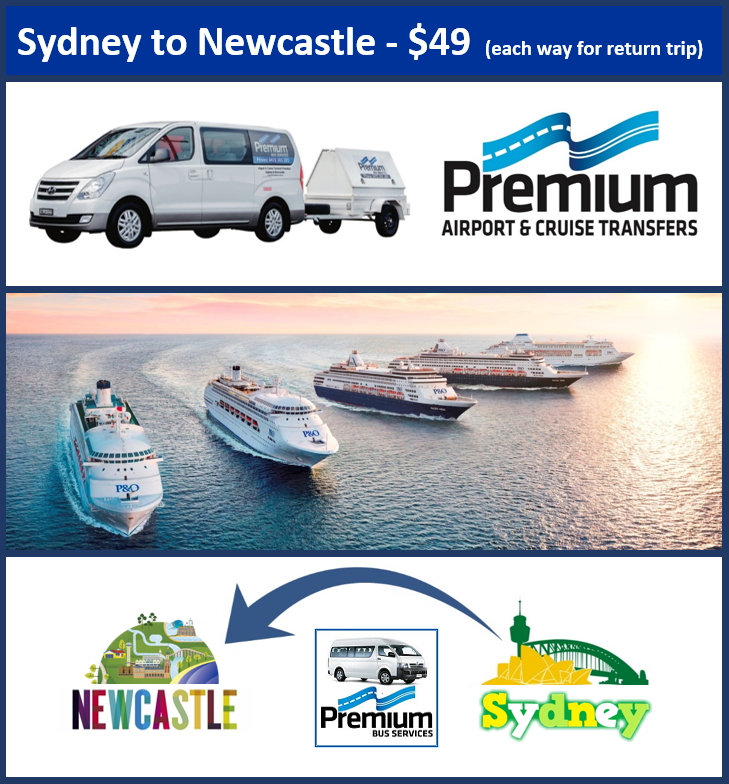 This service provides you with a seamless and stress free transfer from Sydney Cruise Terminal to Newcastle. We service both the Circular Quay and White Bay Cruise Terminals. With an impressive fleet of modern air-conditioned vehicles, we cater for individuals and groups, in order to get you safely and comfortably to and from your Cruise Ship. This is a very convenient shared service from a single pick up location at Circular Quay or White Bay. - A driver fully accredited by the NSW Government Regulator, “Transport for NSW”.